Treat someone you love to the Polaar Valentines Bundle, a trio of skincare treats designed to protect skin against the elements. Expect silky-soft, hydrated and glowing results. An intensely hydrating lip balm infused with a vitamin-rich blend of Arctic Raspberries, Blackberries and Lingon Berries for powerful antioxidant protection against wind, cold temperatures and pollution. Fast-absorbing and non-greasy, the white beauty balm is packed with nourishing Shea Butter, Beeswax and Coconut Oil to repair dryness and deeply moisturise lips, leaving you with restored, comforted and super soft skin. 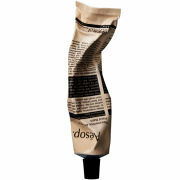 Nourish and soften dry, hard-working hands with the luxurious hand cream. Delivering a subtle fragrance, its lightweight, creamy texture is immediately absorbed without leaving hands greasy. Lingon Berries, Blackberries and Arctic Raspberries work in synergy to moisturise and protect hands, whilst Shea Butter and Beeswax ensure they are left feeling silky smooth. An invigorating roll-on eye treatment that instantly hydrates and lifts dull, puffy skin. Fortified with Siberian Ginseng, an adaptogen that has a revitalising tonic effect on skin, the soothing gel formula tones and brightens the eye contour whilst Tetrapeptides visibly reduce oxidative stress and preserve skin elasticity. With continued use, the look of dark circles and fine lines is minimised. Lip Balm: Octyldodecanol, Ricinus Communis Seed Oil, Hydrogenated Coconut Oil, Hydrogenated Polydecene, Cera Alba, Cera Microcristallina, Butyrospermum Parkii Butter, Cetyl Palmitate, Hydrogenated Microcrystalline Wax, Macadamia Ternifolia Seed Oil, Triticum Vulgare Germ Oil, Caprylic/Capric Triglyceride, Parfum, Oryzanol, Tocopheryl Acetate, Mica, Bisabolol, Polyhydroxystearic Acid, Rubus Arcticus Fruit Extract, Rubus Chamaemorus Fruit Extract, Vaccinium Vitis-Idaea Fruit Extract, Linalool, Limonene, Citral, Citronellol, Geraniol, CI 77891/ Titanium Dioxide. Hand Cream: Aqua (Water), Glycerin, Butyrospermum Parkii (Shea) Butter, Cera Alba (Beeswax), Cetearyl Alcohol, Cyclopentasiloxane, Ceteareth-20, Caprylic/Capric Triglyceride, Rubus Arcticus Fruit Extract, Rubus Chamaemorus Fruit Extract, Vaccinium Vitis-Idaea Fruit Extract, Stearic Acid, Parfum (Fragrance), Palmitic Acid, Carbomer, Tocopheryl Acetate, Caprylyl Glycol, Diphenyl Dimethicone, Hydrolyzed Algin, Triethanolamine, Sodium Benzoate, Phenoxyethanol, Citronellol, Eugenol, Geraniol, Linalool. Eye Energiser: Aqua (Water), Butylene Glycol, Glycerin, PEG-12 Dimethicone, Phenoxyethanol, Acrylates/C10-30 Alkyl Acrylate Crosspolymer, Hippophae Rhamnoides Fruit Extract, 1,2-Hexanediol, Caprylyl Glycol, Sodium Hydroxide, Ethylhexylglycerin, Disodium Edta, Acanthopanax Senticosus (Eleuthero) Root Extract, Acetyl Tetrapeptide-5, Tropolone, Tocopherol.